If you work with clients who suffer from distress this might be the workshop for you. 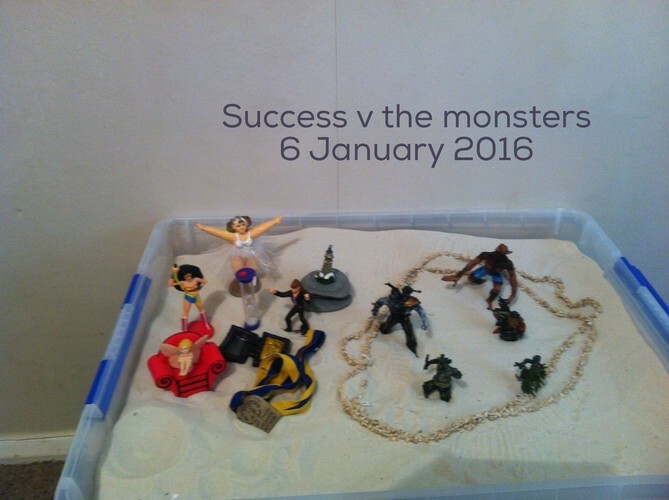 Use sandtray and art therapy symbolic work to identify distress from negative emotions, explore beliefs and memories, and learn how distress can affect how we life our lives and make decisions. Make feelings, images and thoughts visible as a first step towards reducing distress. Use symbolic play to ask questions, express hurts and identify stress cemented with art therapy practice. Break through usual verbal defences by shifting to a kinesthic approach to find how patterns and themes of behaviour and reactions can identify new possibilities and responses. Suitable for counsellors, social workers and anyone working in the helping professions. Beginners to advanced. Payment confirms your place in the workshop which is capped at 10 people. $120 per person. Group facilitators Donna Ewart & Cass Hendry both Registered Arts Therapists have worked with disadvantaged and vulnerable populations for over 20 years and have a wealth of knowledge in supporting people to develop a stronger understanding of their unique situations.